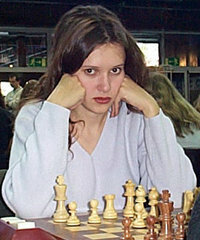 Anna Zatonskih (born June 17 1978) is a chess player from the United States, where she has the third highest Elo rating on the FIDE list among women (2435). She is a Woman Grand Master. This article is based on the article Anna Zatonskih from the free encyclopaedia Wikipedia and stands under the GNU-Licence for free documentation. In the Wikipedia a list of the authors is available.